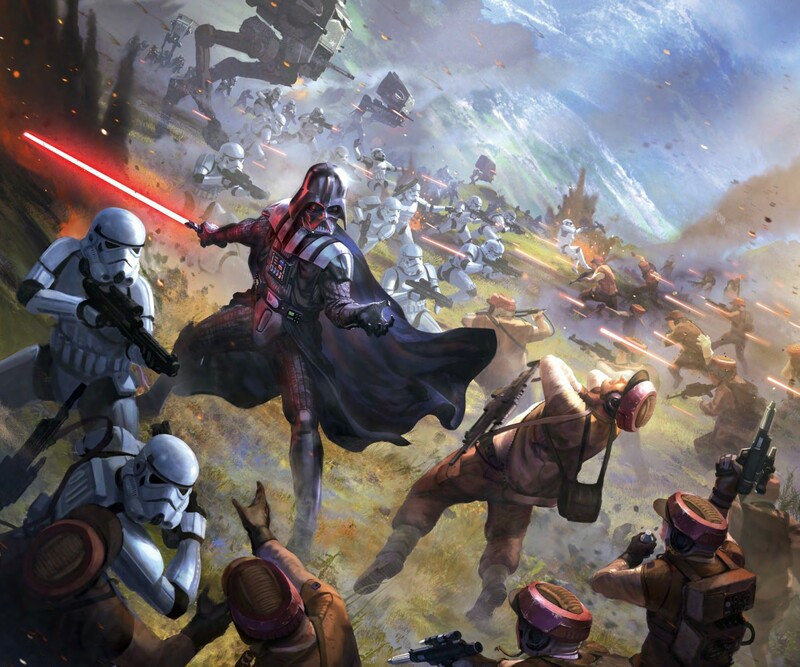 The next Star Wars game is every fan’s dream, recreating the battles of the original trilogy with armies of Stormtroopers, Rebels, speeder bikes, walkers and the clashing lightsabers of Luke Skywalker and Darth Vader. Could Legion become bigger than X-Wing? In the five-plus years since X-Wing debuted at Gen Con 2012, the spaceship dogfighting miniatures game has become a phenomenon of the modern tabletop scene. 13 waves of its iconic pre-painted ships have taken it to almost every corner of the Star Wars universe, while players continue to flock in droves to the regional and world championships held each year, posting their fine-tuned loadouts online and analysing the ‘meta’ of each ship in staggering depth. Earlier this year, Fantasy Flight tried to apply the magic touch of X-Wing to one of its own creations, the fantasy world of Terrinoth first explored in Runebound, in the form of miniatures spin-off Runewars. Co-opting X-Wing’s distinctive dial-driven gameplay to a rank-and-file wargame of clashing swords, charging cavalry and mystical creatures, Runewars was engaging to play but lacked the captivating world and characters needed to find a place in players’ hearts. Undead skeleton warriors and four-armed golems just couldn’t match the roar of X-Wings and TIE Fighters as they blasted and barrel-rolled through space. There was perhaps only one thing that could possibly equal or even outmatch X-Wing for epic, fan-pleasing spectacle: a full-blown Star Wars infantry miniatures game, with squads of Stormtroopers and Rebels exchanging blaster fire among whizzing speeder bikes and stomping AT walkers across the snowy wastes of Hoth or forests of Endor. The dream of countless children – and adults – from 1977 to 2017. 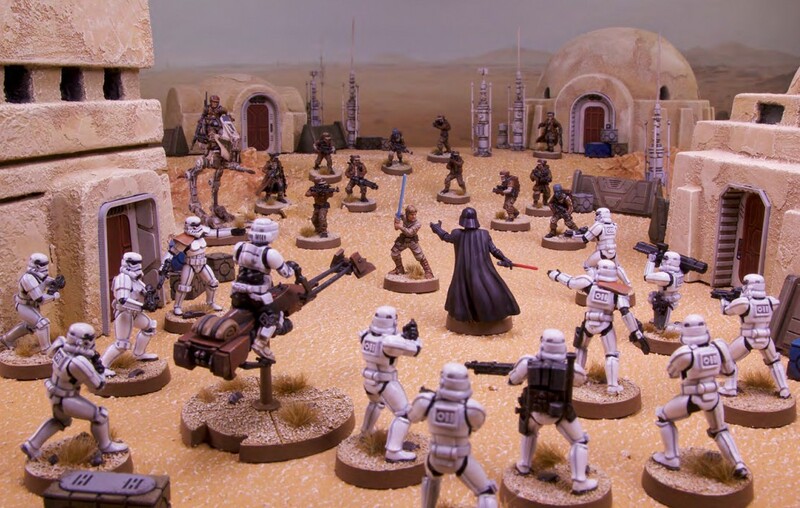 It had been an ambition of Fantasy Flight itself since it first secured the rights to make Star Wars games in 2011. 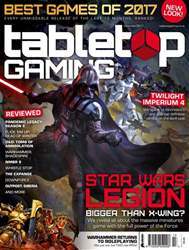 But there was a problem: putting out an epic sci-fi miniatures game would undoubtedly upset the publisher’s relationship with Games Workshop, the maker of wargaming icon Warhammer 40,000, another universe that Fantasy Flight had been expanding with board game spin-offs for a number of years.